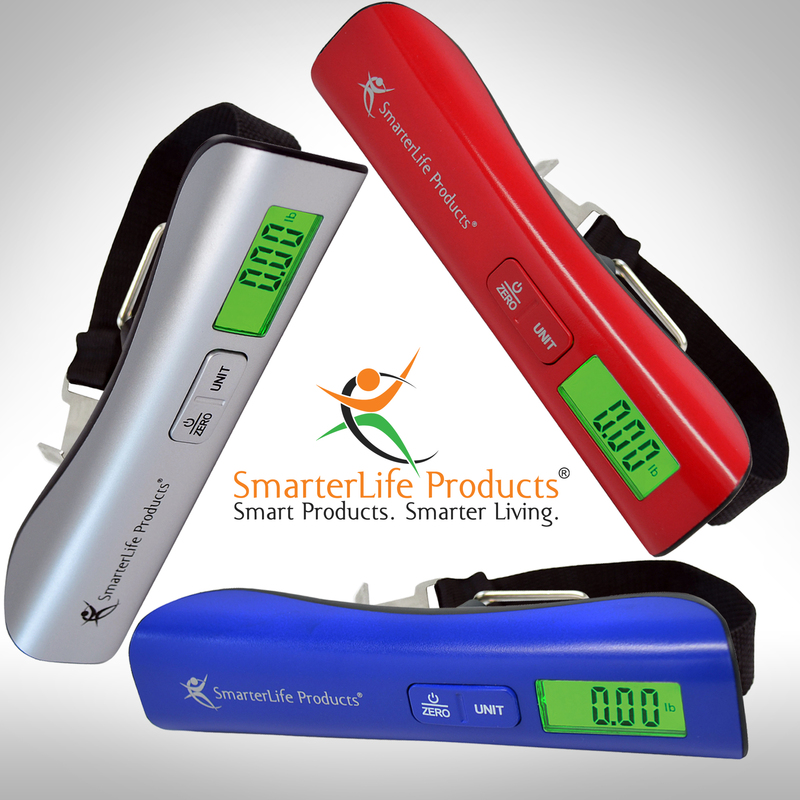 The SmarterLife Products® SmartScale Premium Luggage Scale is an essential accessory for all types of travelers. This innovative digital luggage scale offers the optimal combination of contemporary design, premium quality construction, accuracy, functionality, feature-richness, compact size and light weight. 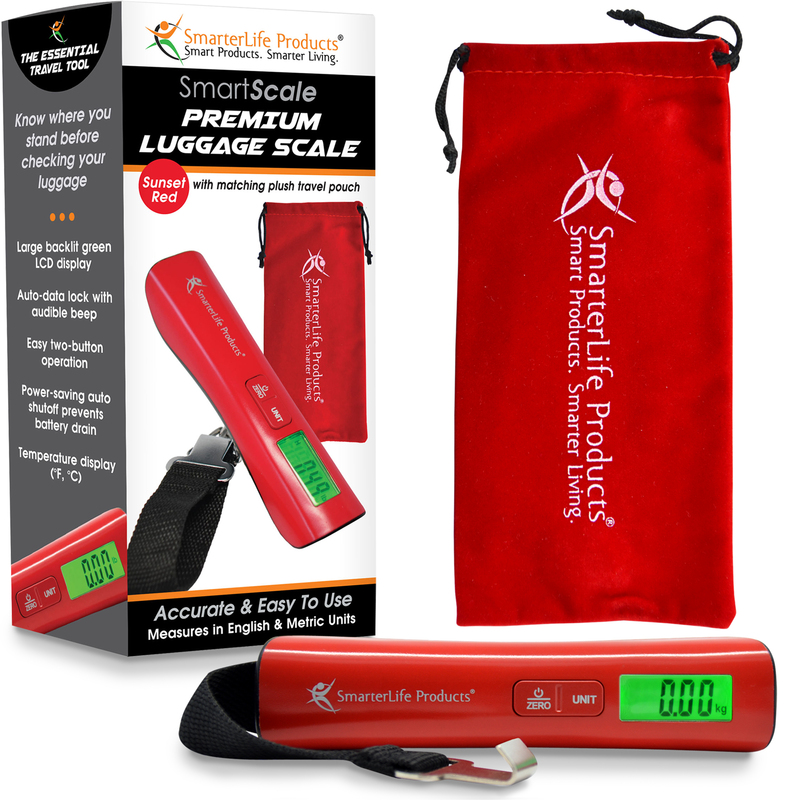 SmarterLife Products® LLC has announced the market introduction of its newest product, the SmartScale® Premium Luggage Scale, now available for sale on the Amazon Marketplace. The SmartScale® Premium Luggage Scale is an essential accessory for all travelers – business, vacation, domestic and international. 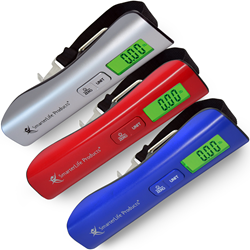 This innovative digital luggage scale offers the optimal combination of consistent accuracy, feature-richness, compact size and light weight. With its contemporary design and premium quality construction, this new digital luggage scale is designed to look as good as it performs. The SmartScale® Premium Luggage Scale -- just launched on the major online shopping platforms today -- has all the essential features designed into it -- large easy-to-read green backlit display, very fast auto-lock with audible chime, weight reading memory, power saving auto off, maximum capacity of 110 lbs. (50 kg), graduation of .35oz/.02lb/10g, zero tracking, tare function, low battery and overload indicators. And it even displays the ambient temperature. Three color options are available – Starlight Silver, Sunset Red, and Marine Blue. 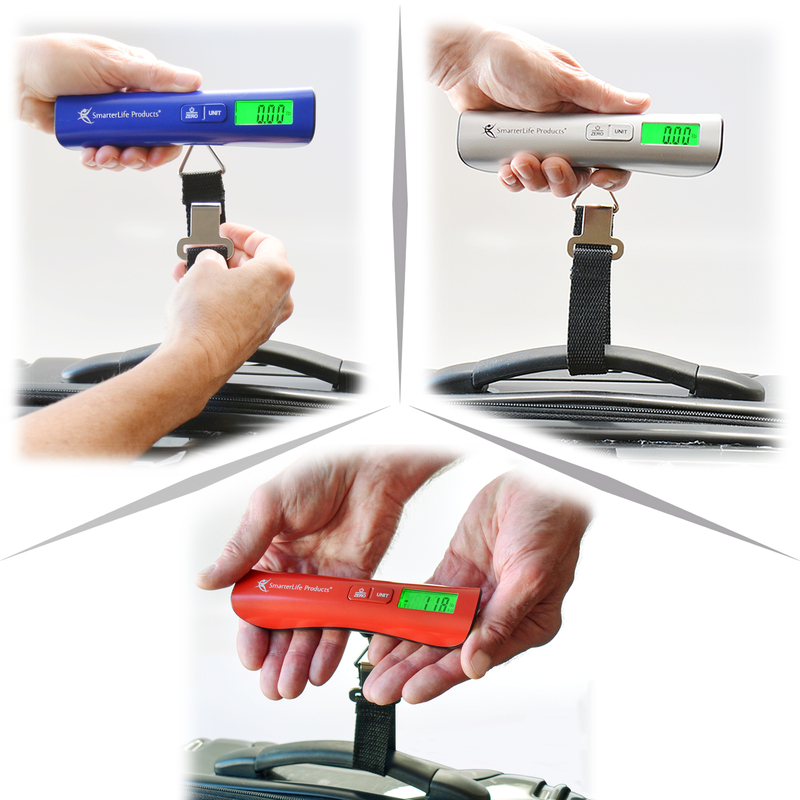 Each scale comes with a color matching drawstring travel pouch which keeps it protected when packed in your suitcase, as well ensures that it doesn’t accidentally power on while traveling. “The SmarterLife Products® SmartScale Premium Luggage Scale is the result of hours of research into this deceptively simple travel accessory. 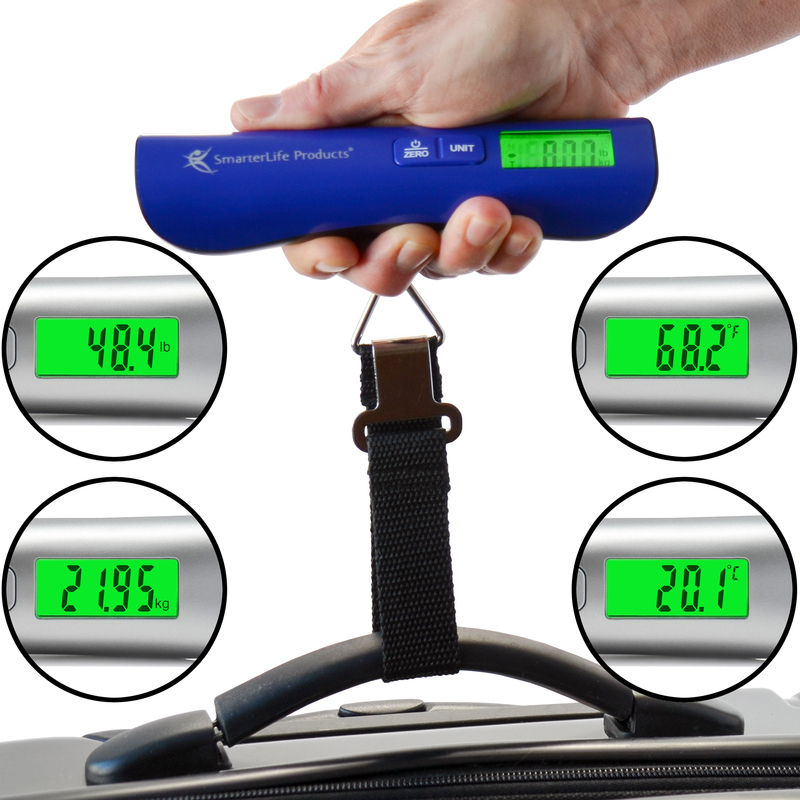 As travel enthusiasts, it was important to develop a luggage scale that is extremely easy to use, has an easy to read oversized display, is consistently accurate, can be operated with one or two hands, locks in on the weight very fast to avoid arm strain, and offers all the features required by serious travelers,” stated Co-Founder, Jan DePuy. The SmarterLife Products® SmartScale Premium Luggage Scale is now available for purchase on Amazon.com and for a limited time is being offered at an introductory price. Included in the box is the SmarterLife Products® SmartScale Premium Luggage Scale, 1 CR2032 lithium battery, color matching drawstring travel pouch, instruction booklet, and a bonus eBook “10 Not To Miss Places You Should Visit in 2016”. Based in Steamboat Springs, CO, SmarterLife Products® sources or creates the very best eco-friendly fitness & health, travel, and lifestyle products and was started when co-founders Jan & Tim DePuy realized that it was hard to find purposefully-made items that were good for people and good for the environment. While available in the marketplace, no one had brought them together into one place, which was the impetus for the creation of the company.